Home from a week photography on the Azores - my mind and eyes are still blue. Dolphins are abundant and many were hunting. We encountered 3 species and they have all "bounced" back after dolphin-save tuna-fishing has been implemented. 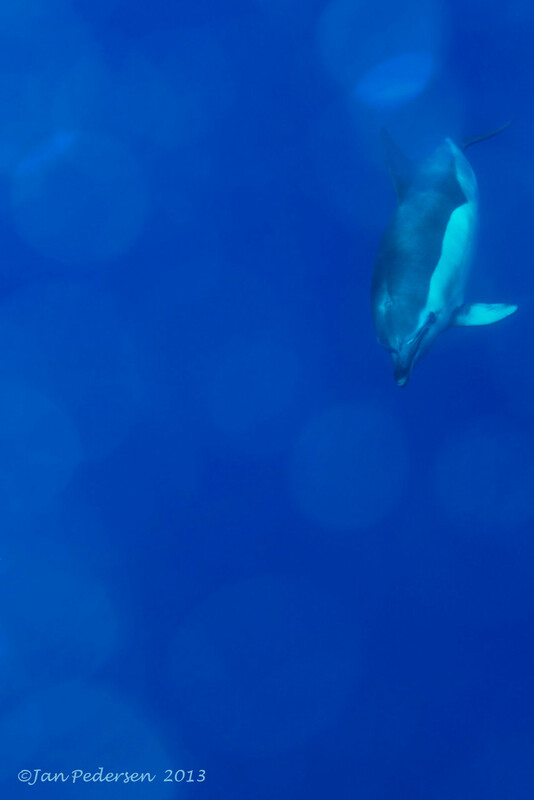 Here a Short-beaked common dolphin is investigating me. One of the rare moments were they are not just passing by like jets.